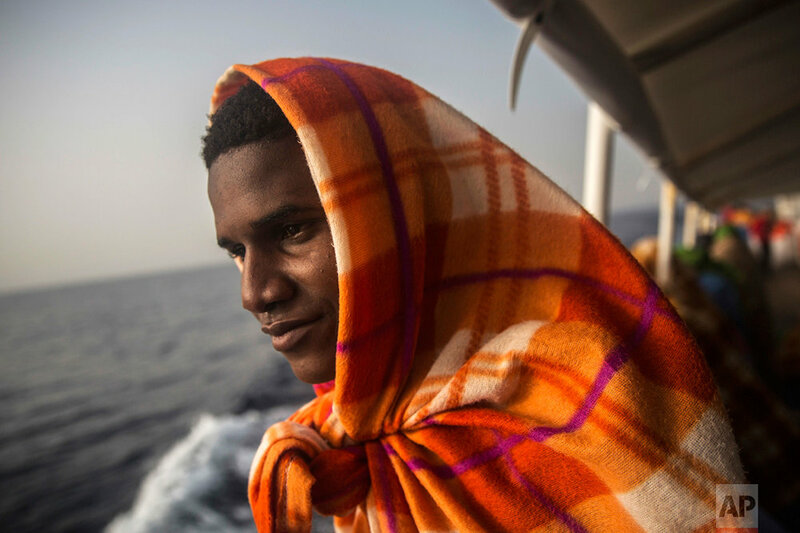 African refugees and migrants, mostly from Sudan and Senegal, were rescued early in the morning at sea today by the Spanish NGO Proactiva Open Arms rescue ship off the Libyan coast. Rescuers found 332 people on Thursday, Feb. 23, 2017, in three separate rubber boats traveling north of the Libyan coast, according to Proactiva Open Arms, the nonprofit that operates the Golfo Azzurro rescue vessel. Below is a gallery by photographer Santi Palacios.